Cranberry ginger bruschetta, and spicy tomato basil bruschetta surrounded by pita and flatbreads. 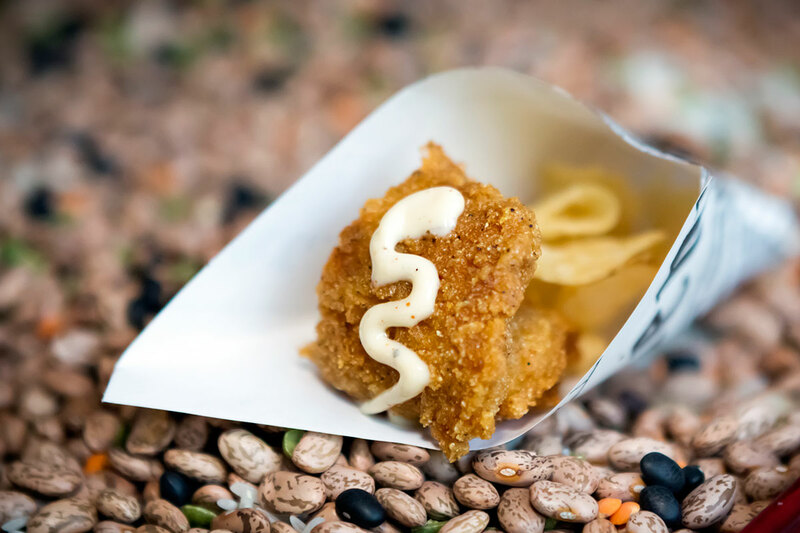 Flash-fried catfish fingers drizzled with a key lime aioli. Served in paper cones with salt and vinegar kettle chips. 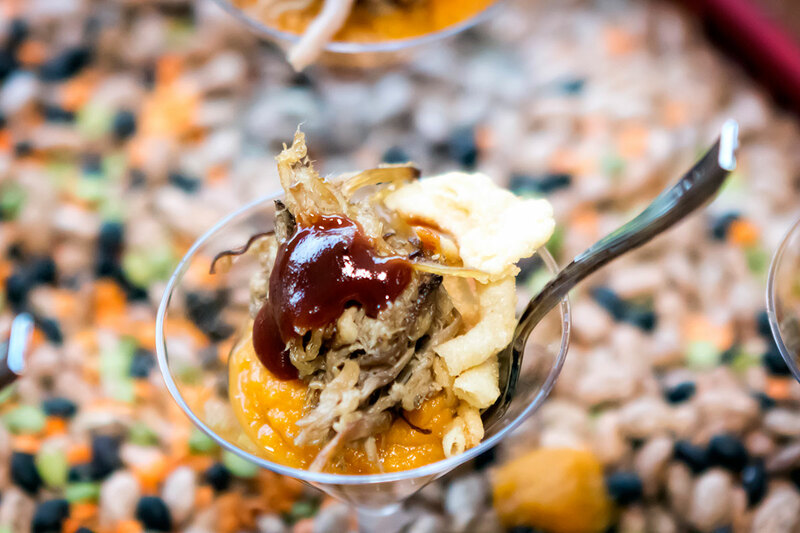 Served atop whipped sweet potatoes in disposable martinis. Tender beef and gooey cheese in a flaky brown crust. Served with a roasted red pepper chimmichurri. 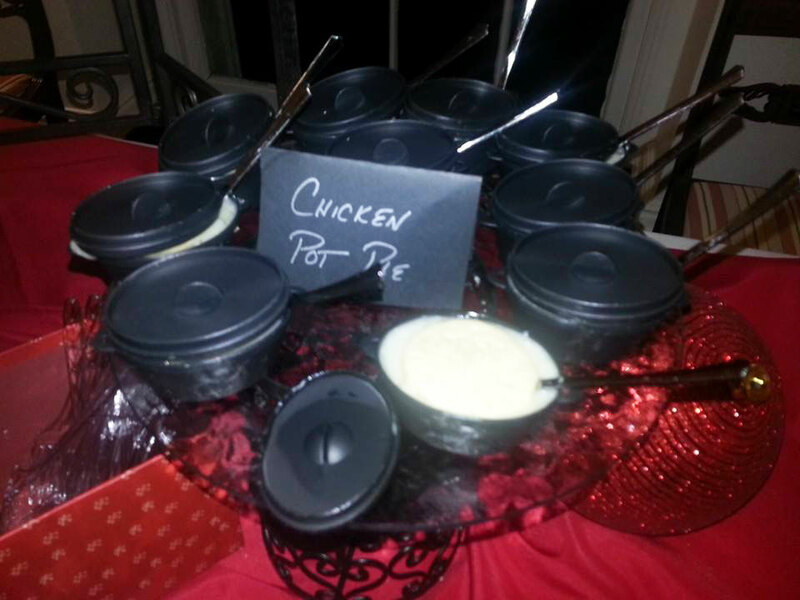 Mini pots of chicken and vegetarian pot pie topped with a flaky crust.